Hastings is a very special station…so special that I think it doesn’t deserve a normal review. In writing this post, I stuck the caps lock button on and essentially turned myself insane. Hastings does have a lot to rant about, after all. Maybe this was a bad decision. Maybe the post won’t be entertaining. But I just thought I’d give this stop the scolding it deserves, rational or not. So with that, let’s get into the worst station on the whole Commuter Rail! OH, WELL, LOOKIT THAT. HASTINGS THOUGHT TO GIVE US PARKING. NOW, ISN’T THAT NICE? 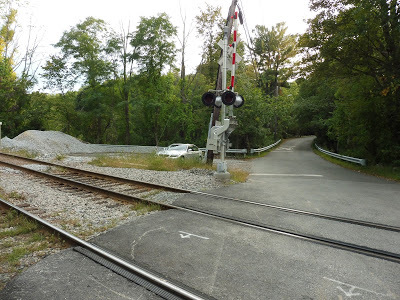 IT USED TO BE COMPLETELY UNPAVED, BUT NOW IT’S GOT GRAVEL INSTEAD! WHAT AN IMPROVEMENT! THEY SAY IT HAS SPACE FOR 6 CARS, BUT I’M NOT SURE HOW THEY FIGURED THAT OUT, SINCE THERE ARE NO SPACES – IT’S JUST A PATCH OF FREAKING GRAVEL! LADIES AND GENTLEMEN, WELCOME TO HASTINGS. WELL, AT LEAST HASTINGS HAS A NICE SCHEDULE POSTED. HEY, QUICK QUESTION, IF SOMEONE WENT TO THE TROUBLE OF STICKING A SCHEDULE UP HERE, WHY DIDN’T THEY PUT A FREAKING STATION SIGN UP TOO?? BUT OKAY, I DIGRESS, DEAR FRIENDS. AT LEAST THEY HAVE A SCHEDULE…OH WAIT, IT’S FROM 2014. EVERYTHING HAS COMPLETELY CHANGED SINCE THEN! WHAT THE HECK?? 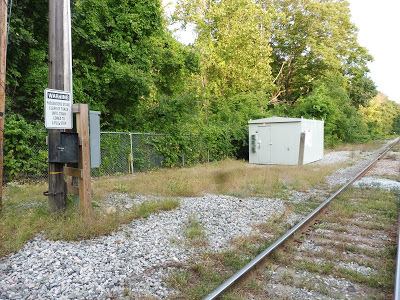 WELL, NOW WHAT’S THIS OTHER SHEET HANGIN’ UP ON DAT SIGNAL BOX? OH, OKAY, IT TALKS ABOUT HOW ARRIVAL TIMES HAVE CHANGED SLIGHTLY WITH THE…2016 schedules? Okay, no. NO! I REFUSE TO BELIEVE THAT SOMEONE CAME HERE, PUT UP THE THING ABOUT THE ARRIVAL TIMES IN 2016, BUT DIDN’T BOTHER TO CHANGE THE OLD SCHEDULE! IT’S SIMPLY NOT POSSIBLE! THIS. 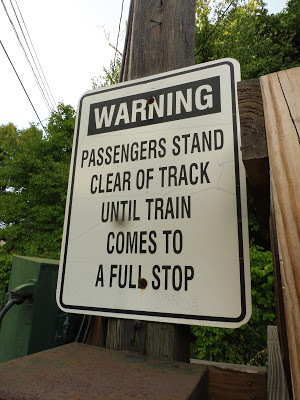 THIS SIGN IS THE ONLY INDICATION THAT HASTINGS IS A TRAIN STATION. AS YOU CAN SEE, IT GIVES SIMPLY AN ENCYCLOPEDIC LEVEL OF INFORMATION, DOESN’T IT? WELL, WITH THAT, I GUESS THIS REVIEW OF HASTINGS IS OVER, SO…wait…what’s that next to the sign? Okay…so someone came here with a sharpie…and made that…someone went to the effort of coming here…and writing information in tiny letters that no one will ever see. 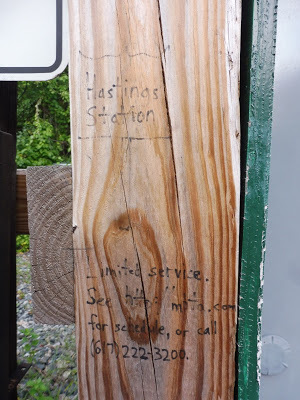 They…they even drew a little sign around “Hastings” and gave the MBTA website and everything! So…this is the signage. 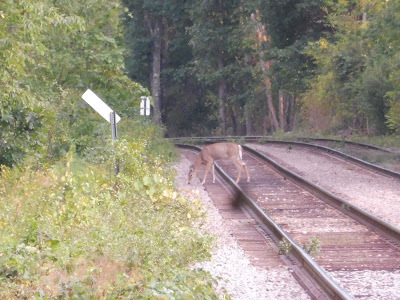 THIS IS THE ONLY INDICATION THAT PEOPLE ARE WAITING AT THE HASTINGS COMMUTER RAIL STATION ON THE FITCHBURG LINE IN WESTON, MASSACHURSETSTES! HASTINGS? MORE LIKE HATE-STINGS, BECAUSE THIS STATION IS THE WORST! RIDERSHIP: GEEZ, A WHOLE 44 PEOPLE ARE SUBJECT TO BOARDING AT THIS PLACE EVERY DAY? I AM SO SORRY. CONS: MY GOSH, THIS WHOLE STATION IS A CON! HASTINGS IS JUST A BLACK HOLE OF CONS! OR MAYBE JUST A FLAT-OUT BLACK HOLE, SINCE IT BASICALLY HAS NOTHING! NO PLATFORM, NO SIGNAGE, BARELY ANY PARKING, AND THE ONLY INDICATION OF THE STATION NAME IS WRITTEN IN SHARPIE! NEARBY AND NOTEWORTHY: YES! THERE IS A FIELD NEARBY, COMPLETE WITH SOCCER GOALS AND A BASKETBALL COURT! MAYBE YOU CAN USE IT TO WORK OFF YOUR ANGER AT HOW BAD HASTINGS IS! Stay tuned for more normal reviews in the future! And let us never speak of this place again. Wow. and I thought no station could beat a 1/10 (such as Auburndale). Miles, I think you may have broken the blog by giving a zero to a station. This is hysterical and had me cracking up the whole time, both your description and pointing out the truly sad aspects of the station itself! Completely lost it at the Sharpie'd on "sign"!! data rooms topic is really interesting for you. Hastings and Silver Hill are two completely worthless stops. Get rid of these. 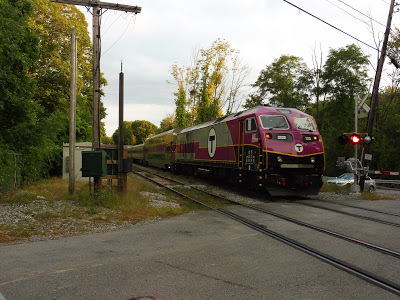 All it does is slow down the Fitchburg line. Kendall Green is sufficient enough. At least the paint one gets a train every few minutes! But the paint one is dangerous! At least if you fall backwards at gravel galore you fall into bushes. At paint you are doomed. 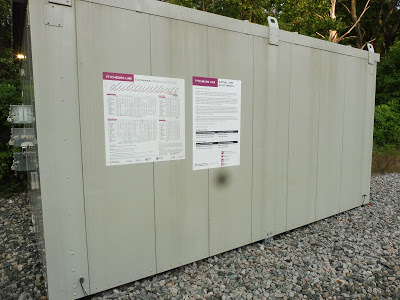 So I spent thevpthe month since I found this entry in your blog looking for the Sharpie'd sign, because I just can't figure out this station. And in the couple years since you reviewed it, it's faded a lot. I finally spotted it. What a ridiculous station. Train can't even get up to speed between it and Kendall Green. Fun fact, if you look this station up on Google Maps, it’s listed as being a location for the (now defunct) retail chain of the same name. Loved the review; I got a good laugh from how over-the-top it was.